1844 Liberty Head $2.50 quarter eagles are popular collectible coins among numismatists who appreciate historic 19th-century coinage. 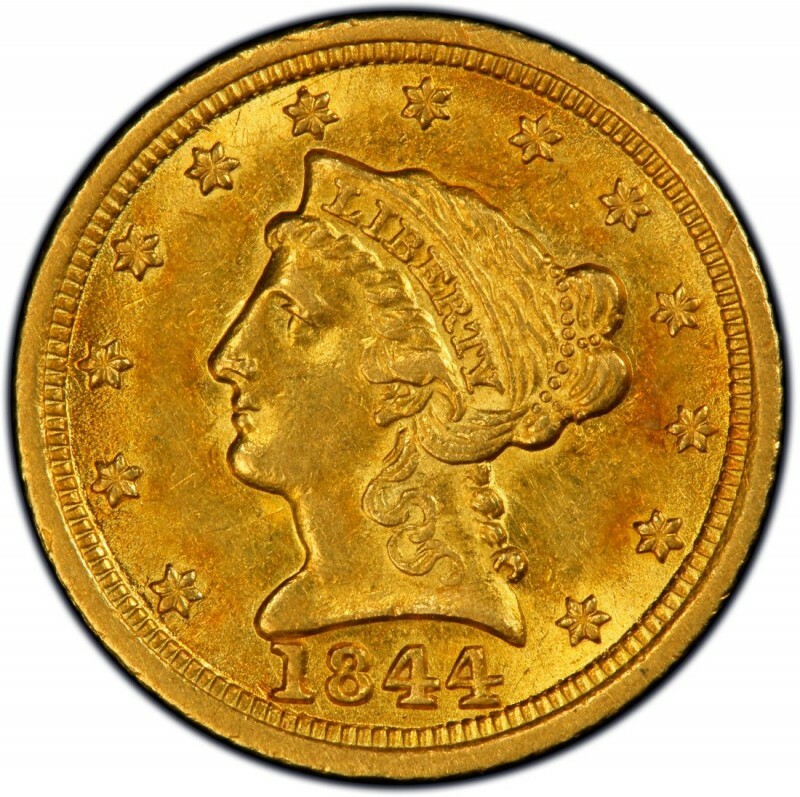 1844 gold quarter eagle coins were made at the Philadelphia, Charlotte (C), and Dahlonega (D) mints. 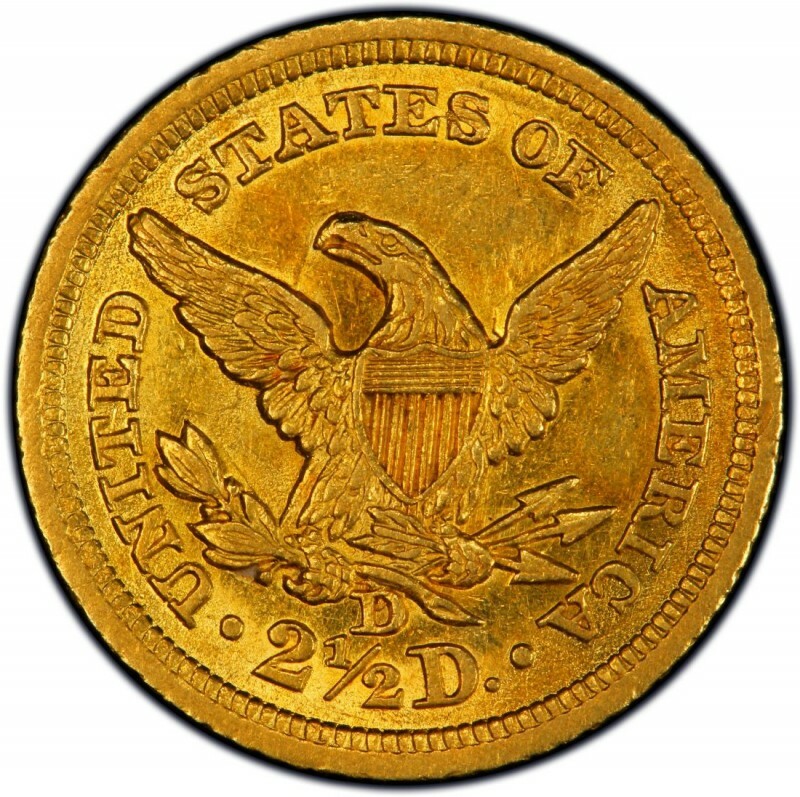 While all 1844 gold coins are scarce, pieces from the Charlotte and Dahlonega mints are considered rare by most U.S. coin collectors, as these coins were not saved in large quantities to begin with and most have been lost or melted. Liberty Head quarter eagles consist of a 90 percent gold and 10 percent copper composition – the ordinary “coin gold” alloy for gold coins of the time period. 1844 Liberty Head $2.50 gold coins weigh 4.18 grams and have a diameter of 18 millimeters, meaning they are about the same width of a standard dime. These gold coins contain a total of 0.1202 ounces of gold. 1844 $2.50 gold coins were designed by Christian Gobrecht, who would serve as the U.S. Mint’s chief engraver. He is also well noted as the designer of Seated Liberty coinage, which ran from the late 1830s through 1891. PCGS 1844-C $2.50 Dollar Gold Liberty Head, AU DETAILS ALMOST UNCIRC. Charlotte Mint!